When we are young, we all have dreams. Some want to become doctors, teachers or firefighters. Some aim higher and dream about becoming astronauts, scientists or anything that could change the world into a better place – or not, some just want to be the villains from their stories – and perhaps win them a Nobel prize or a mention in history books. But some are just more dreamy and care about other things such as fine arts. They want to become painters like Michelangelo and have the ceiling of a would be historical monument painted by them. Others want to become designers – the next Yves Saint Laurent or Coco Chanel, while some are brave enough to flirt with architecture and dream about building skyscrapers. Some of us have always considered becoming the next big thing on the music stage, but even a garage band is difficult to form these days and sometimes, even the most talented end up working in a fast food restaurant or better as lawyers; only the bravest ones dare to join a singing contest, but after the show is over, so are their 30 seconds of fame. And there are the least appreciated – the writers. “Everyone can write” say those who cannot write. And this is a general statement when it comes to talented young writers. Their hobby starts merely as a random idea or a school project and it blooms. A few praises from the teacher – or not, it depends on the genre and the teachers – some literature contests and at some point, after a while, when their genuine talent is resumed to memorizing quotations and analyzing other people’s works, they become fed up and quit their hobby. 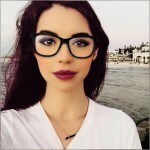 If some people actually managed to work for big designers and eventually to develop their own independent side business, some actually became huge stars in the music industry and even that looser class mate from middle school is playing in Hollywood’s next blockbuster, then why writers can not make it? Well… some can. Some writers went from writing on paper napkins and telling bedtime stories to becoming idols and millionaires. They turned their hobby into their job and it did them good. 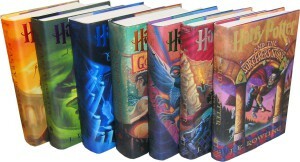 Now, if you read our last article about the best selling books and book series of all times, you might notice that some stories are not exactly special, but they were catchy to the public. And perhaps, you might reconsider starting to write again and in a few years, you will be here too. “San Antonio” is a French crime book series. 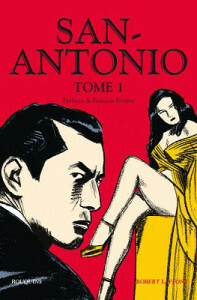 Despite the author’s name being Frederic Dard, he wrote under the pen name San Antonio, the same as the series and the name of the main character, the police inspector Antoine San-Antonio. The name came from a simple map. Dard wanted an English name so he opened an atlas and his finger pointed at San Antonio, Texas. 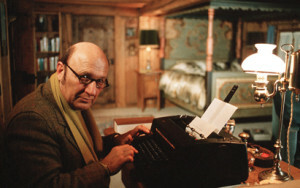 The character behind the title was also inspired by inspector Gregory Alexinsky. In 1949 he published his first book from the series and it was a major success, luring many editors willing to get their brand on Dard’s following books. Sales: ~200 million. Yes, it is a book series about train engines and you might know it better as “Thomas the Tank Engine & Friends” from the creepy cartoons series. Despite Thomas and his friends’ eerie aspect, the concept behind “The Railway Series” is a pure innocent one. Reverend W. Awdry’s 2 and half year old, Christopher, was ill with measles and the only way to bring joyfulness to his soul was by starting to tell him stories. 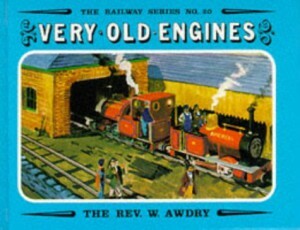 Later, Awdry was pursued to send his work to a publisher and luckily, his books were welcomed. To pay homage to his father, Christopher Awdry later took over his legacy and started writing stories himself. Sales: ~200 million. There were plenty of efforts to adapt Awdry’s “The Railway Series”, but only in 1984 the show finally aired on TV and ever since it has been a must watch for every single child. Up to this date, there are 19 seasons with and a total of 466 episodes and with a 20th season to follow. If the previous list had Frank Merriwell as a young attempt of Sherlock Holmes, this time we bring you Nancy Drew, a female American Sherlock Holmes or just an American younger Miss Jane Marple. Nancy Drew is a young detective, who, with the help of her friend Bess Marvin and George Fayne, but also boyfriend Ned Nickerson, gets into a lot of trouble and solves mysteries. The original author is Edward Stratemeyer, better known for “Hardy Boys”, but after his death, other authors were allowed to pick up the series and write their own volumes under the pen name Carolyn Keene. And despite the character suffering changes from decade to decade and author to author, becoming an epitome of girlhood and a potential role model for each generation. Sales: ~200 million. 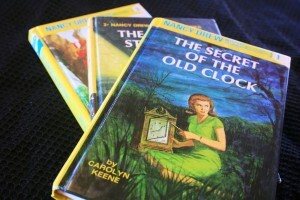 Due to the series being a success and picked up even after the author’s death, the “Nancy Drew” series was unavoidably adapted for other media. The first attempts were in the 30s with 4 “Nancy Drew” movies by Warner Bros., all starring Bonita Granville as the young detective. Another character you might remember from cartoons, Noddy is a boy made out of wood, similar to Pinocchio. Cheerful and friendly, his story began as he was created by a woodcarver in toy shop, place from which he escaped. Encountering other characters, Noddy lands in Toyland where he must prove himself as a real good toy and takes the job as a taxi cab driver. Other characters from the “Noddy” series are the leprechaun like Big Ears, the policeman Mr. Plod, Bumpty Dog, Tessie Bear, the family Tubby Bear and Mr. Wobbly Man. Sales: ~200 million. Of course, it was impossible not to adapt Blyton’s “Noddy” series. 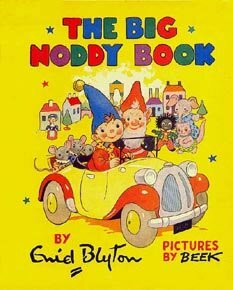 A first edition was released in the 50s, “The Adventures of Noddy”. Later it followed “Further Adventures of Noddy” from 1963 till 1975, preceeded by “Noddy”. After a break, the friendly toy returned in the 90s with “Noddy’s Toyland Adventures” and “Noddy”. 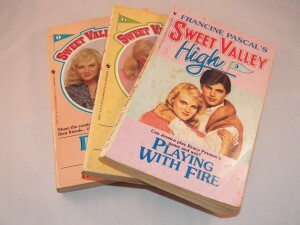 Before Gossip Girl and other modern Chick lit books, there was the “Sweet Valley High”. Following the lives of Californian identical twins Jessica and Elizabeth Wakefield, the series introduces the young girls during their high school years and tell their adventures marked by love, jealousy, mysteries, tragedies and incredible plot twists. Despite starting as an ordinary teen series, some novels take a different turn, seeming to be taken out of a “CSI Miami” episode, a “Dexter” one, a “Buffy the Vampire Slayer” one or a random Olsen twins teen movie. Sales: ~250 million. High school does not last forever, despite sometimes seeming like four years are an entire century. Therefore, other series were released – “Sweet Valley Kids”, with Jessica and Elizabeh as 7 year old girls, “Sweet Valley Twins” featuring them in sixth grade, “The Unicorn Club” based on the… Unicorn Club mentioned in the books, “Sweet Valley Junior High”, “Sweet Valley High: Senior Year”, “Sweet Valley University” because why not and “Elizabeth”, a series centered mostly on the said twin. “You’re the star of the story! Choose from 40 possible endings!” Before otome and role play games, you would have expected to not be such thing like a game book in which you are in the shoes of the main character and you have to make the decisions and choose your path out of many with different endings. But this is what “Choose you own adventure” actually is. The book are open to any gender and race, though they are mostly for preteens, who take over a role as an adventurer or an ordinary person in an extraordinary situation. Sales: ~250 million. Similar to the bears from the “Goldilocks” tale, the family book series “Berenstain Bears” features a family of grizzly bears and their daily lives and adventures. 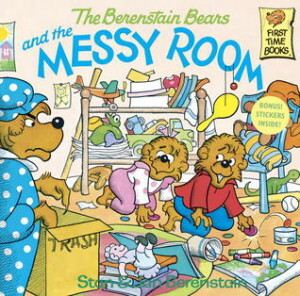 Despite being set up as an apparently regular book series for children, the “Berenstain Bears” books were just disguised in a pleasant manner in order to send a message and teach children valuable lessons. The issues discuss not only average situations such as going to the dentist, but also still current matters such as childhood obesity and real life and online bullying. Sales: ~260 million. Regardless of its controversies and criticism, the series was also picked up for television, starting with the NBC specials “The Berenstain Bears’ Christmas Tree”, “The Berenstain Bears Meet Piggpaw”, “The Berenstain Bears’ Easter Surprise”, “The Berenstain Bears’ Valentine Special” and “The Berenstain Bears’ Littlest Leaguer”. Sweet noir stories. 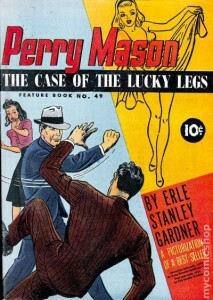 The „Perry Mason“ series by Erle Stanley is a collection of novels and short stories from the 20th century. The title character is a criminal defense lawyer who works with his friend, detective Paul Drake in solving mysteries. Their cases consist of a strange woman who accuses and is accused, a woman whose fiancé is accused of murdering her guardian, a killer sleepwalker, an accused amnesiac person, a “Romeo and Juliet” like drama, many night walkers, two dancers caught in a murder, a wedding turned into a funeral, a mixed up adoption and a witness whose job makes her look less viable. Also, there is a gorilla. Sales: ~300 million. The 30s being the age of the noir movies, Warner Bros. saw the potential of the “Perry Mason” books and released throughout the decade 6 films – “The Case of the Howling Dog”, “The Case of the Curious Bride”, “The Case of the Lucky Legs”, “The Case of the Velvet Claws”, “The Case of the Black Cat” and “The case of the Stuttering Bishop”. Believe it or not, children do like ghost stories and enjoy getting a little scared from time to time. It started just a small attempt at writing something scary for young adults, but it ended up in entire franchise. Featuring supernatural creatures such as vampires, ghosts, zombies, carnivorous plants, aliens, werewolves and others, the stories give the reader chills until the very ending, which sometimes is not exactly a happy one and it comes with a plot twist. 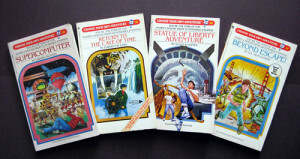 After the original series ended, a collection of spin offs were released – the anthologies “Tales to Give You Goosebumps”, the game books “Give Yourself Goosebumps”, “Goosebumps Series 2000”, “Goosebumps Gold”, “Goosebumps HorrorLand” and “Goosebumps Most Wanted”. Sales: ~350 million. Back in the 1990s, “Goosebumps” had the honour and pleasure of scaring people for 4 straight seasons. 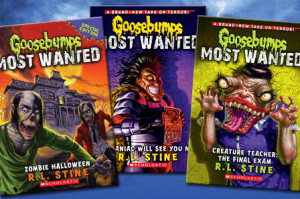 With 74 episodes covering R. L. Stine’s books, though sometimes with slight differences, the show underwent a couple of problems, due to some parts being too frightening or too disgusting, fact which lead to censorship. There is no need for further introduction, but for those who chose to ignore the best series ever, here it is. The eponymous character of the series, Harry Potter is an orphan boy who discovers unusual abilities and is dragged to a whole new world. Sent away from his dreadful uncle, aunt and cousin, Harry starts attending Hogwarts School of Witchcraft and Wizardy. There, he makes new friends, new foes and learns a lot about the hidden magical world and even about his dead parents. But this is not just a tale about a boy with magical powers. This is about a fight of good and evil put on the shoulders of a child who goes from enjoying his new life to failing under pressure and maturing obliged by the circumstances. Sales: ~450 million. As you already know, the movies starring Daniel Radcliffe as Harry Potter, Rupert Grint as Ronald Weasley and Emma Watson as Hermione Granger have been mostly faithful, but there are some major differences. Movie makers must let things out so that people who have not read the novels get interested into them so that they buy them and read them.